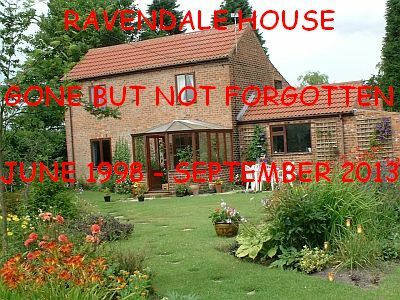 Building a garden from scratch is easier said than done, but for 15 years that is exactly what we did at Ravendale House. It was often hard work, but we loved it and the result was our 'blank canvas' of 1998 was transformed into a beautiful and productive garden, which I hope you have enjoyed reading about in this blog. But tide and time wait for no man and sad to say I am no longer able to give the garden the attention it deserves. It would break my heart to see it fall into disrepair, so the time has come to move on. I will continue this blog in memory of 15 happy years gardening, but I don't have a garden at the moment so will start by telling the story of the last 9 months, so if you want to read the story from the beginning, please click here. Whilst we’ve been waiting for the builder to start work (he’s coming tomorrow all being well) we’ve been stripping, wallpaper that is. Our dream of moving out of the rented cottage and into our new home by the end of March is dead in the water. Everything has taken twice as long as expected. This simple question is dealt with beautifully and succinctly by the Bard in ‘Romeo and Juliet’. However, I do wonder if 400 years down the line, things might not be quite so simple and straightforward. Whilst we’ve been waiting for the legal process to grind through to it’s conclusion, we’ve been spending time in discussion with builders, introduced ourselves to the local building inspector and poured over plans. At last the waiting is over and we have completed our purchase. So I thought it might be a good idea to give you a short photographic tour of the property as it is now, before we begin the alterations. Remember the old riddle? ‘When is a door, not a door?’ Answer, ‘When it’s ajar’ (A jar). Well I’ve got a new one for you. When is a bungalow, not a bungalow? As any Dr Who fan will know, Appalapachia is the location for the episode in Series 6 called ‘The Girl Who Waited’, which also happens to be one of my favourites. A planet which, for reasons I won’t go into here, has 2 different time streams running parallel but at different speeds. If you happen to find yourself in the faster one, then you age rapidly, several years in the space of a few hours of ‘normal’ time. Think I can’t spell? Read on. In the UK we seem to be obsessed by property. If you’re in any doubt, just look at the TV listings for any night of the week, and you’re bound to find at least one property programme. I Wonder If There’s A Name For It? There’s a ‘phobia’ for everything these days. Xanthophobia – fear of the colour yellow, turophobia – fear of cheese, we’ve all heard of coulrophobia – fear of clowns, and my personal favourite omphalophobia – fear of the navel. Well, I might have a new one for you.